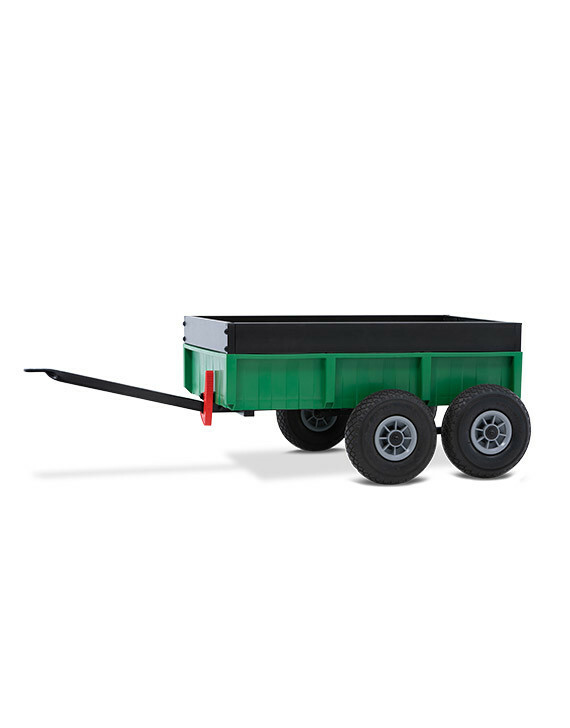 Make your BERG Go-kart even more fun with the Tandem Trailer XL! Have you seen that this trailer has double wheels on both sides? That means there’s always optimal ground contact. You can pick up everything you come across on your travels. The trailer can even take a total weight of 40 kg. Using the tipper function, you can easily remove your finds from the trailer. The pneumatic tyres provide a light and comfortable ride. 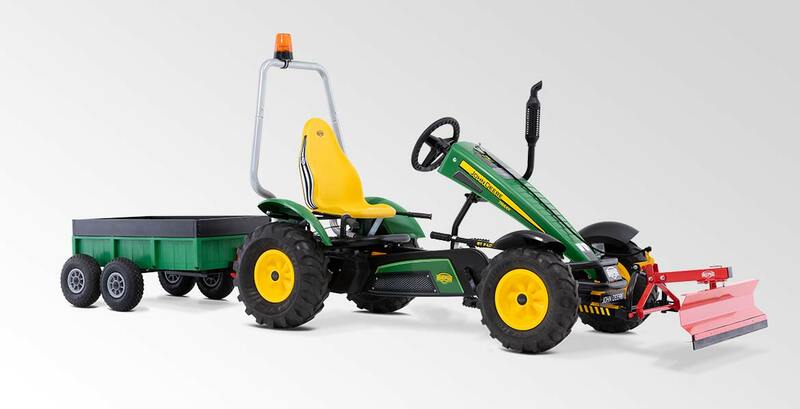 The Tandem Trailer XL fits behind all large (5+) BERG go-karts. •Using the tipper function, you can easily remove your finds from the trailer. 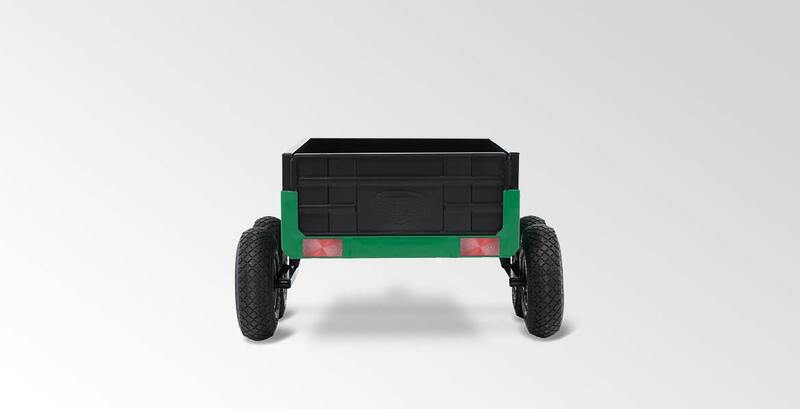 •The plastic container and steel edge provide a very robust trailer with 75 litres of load volume. 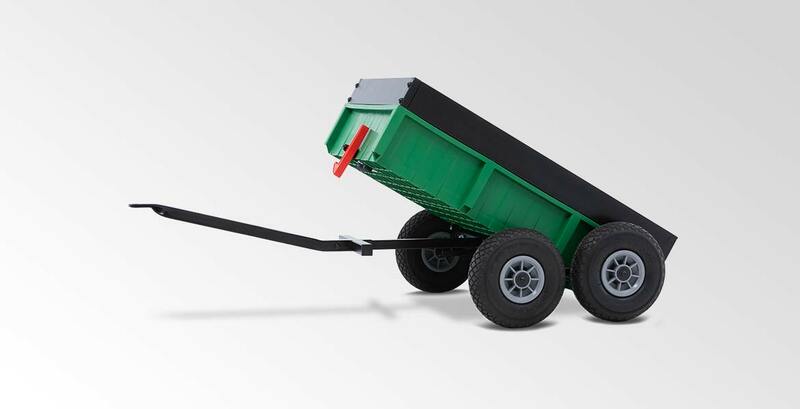 •The pneumatic tyres give the trailer a light and comfortable ride. 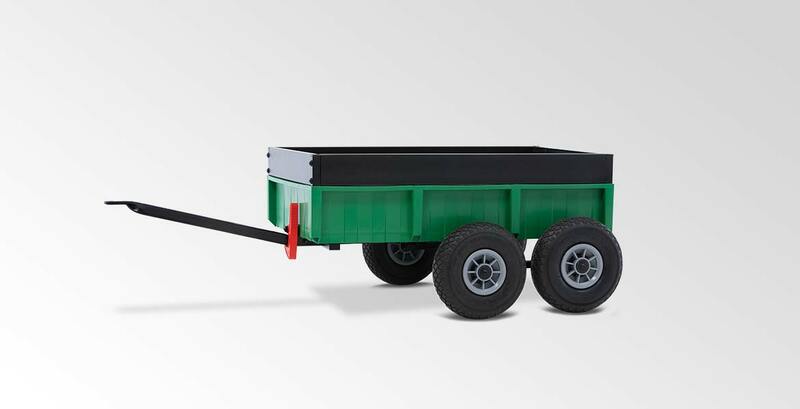 •The trailer is simple to assemble and easy to connect to a go-kart. •The trailer fits behind all large BERG go-karts. •Just like its big brothers, this trailer is brightly coloured.